A wooden base for a table lamp. The wode lower wooden part contains insertions of jewelry resin. 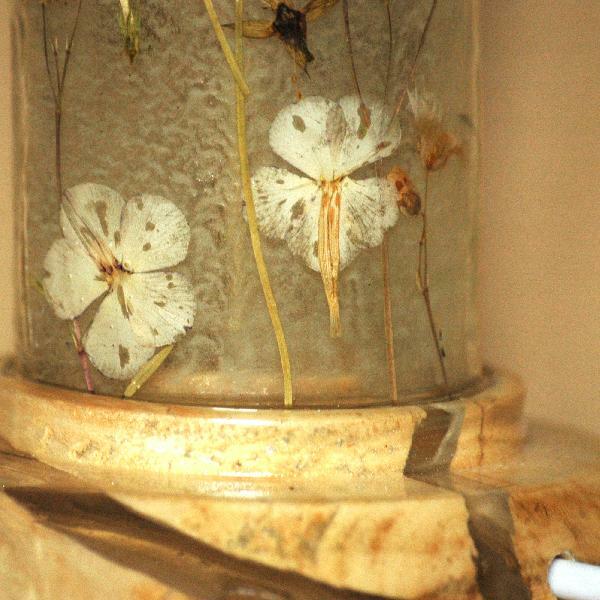 The glass part is decorated with dried flowers in resin and glows in the dark due to phosphor. The lampshade is to be chosen by the buyer. E14 lightbulb.